Sint Maarten and Saint Martin occupy the same island in the the Eastern Caribbean. The Northern portion of the island is French and is known as Saint Martin; the Southern portion is Dutch and is known as Sint Maarten. Saint Martin remains close cultural ties with its French roots, while the Dutch side embraces its Caribbean location. A visit to either Saint Martin or Sint Maarten means you can explore both nations and experience two very different holidays. The island is made up of volcanic peaks, white sandy beaches and an abundance of natural harbours makes this a boating destination and a popular stop with the yachting set. The islands are known for their nightlife, but also are popular for their history and eco-adventures. To find Sint Maarten villa rentals by owner, for your next holiday, simply select St. Maarten as the destination in the “BROWSE BY” tool bar towards the top of the page. If you have set vacation dates use the “AVAILABILITY SEARCH” box, which blends in/out to the right of the slideshow. Alternatively, you can simply browse through the following list of St. Maarten villa rentals by owner. You may also be interested in our large selection of Saint Martin villa rentals by owner on the French (north) side of the island of Saint Martin. Find out more about Etoile de Mer, Cupecoy Beach, Dutch Low Lands, St. Maarten. 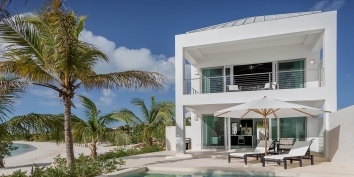 Farniente is a fully air-conditioned, astonishing beachfront / oceanfront villa located in Shore Pointe - A Beautiful and Elegant gated community sitting on Cupecoy Beach, Sint Maarten. This beautiful 4 bedroom villa is an unmatched hideaway for those seeking a combination of luxury and convenience; only 3 minutes drive separate you from leisure, dining and gaming yet a 24 hours surveillance provides for an unparalleled private experience. Can be rented as a 2, 3 or 4 bedroom St. Maarten villa rental. Find out more about Farniente, Cupecoy Beach, Dutch Low Lands, St. Maarten. Find out more about Mumbai, Cupecoy Beach, Dutch Low Lands, Sint Maarten. 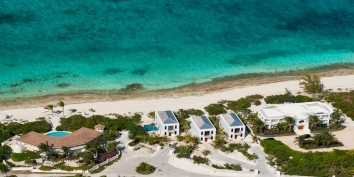 Find out more about Villa Luna, Cupecoy Beach, Dutch Low Lands, St. Maarten. Is your Sint Maarten villa rental already unique on CARIBIQUE? If not, find out how to list your Caribbean villa now!